Last weekend was my favourite. 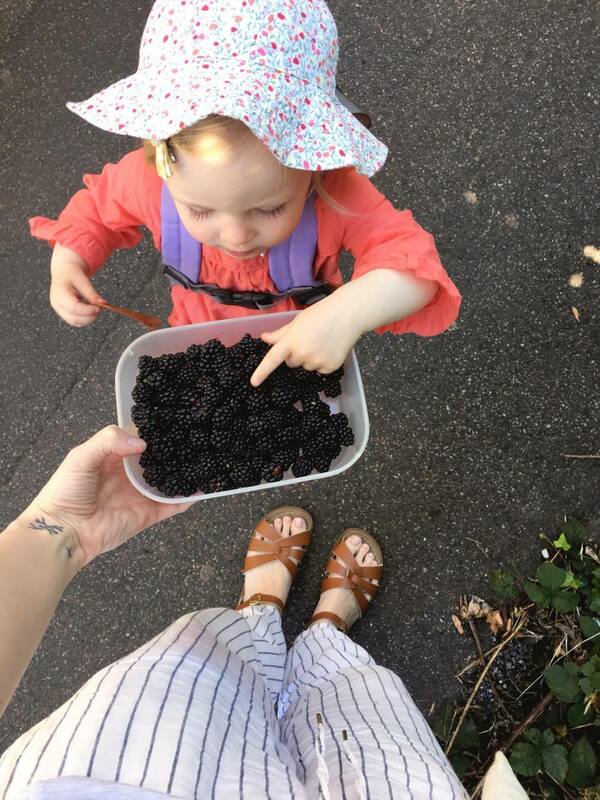 I wrote about the BEST Saturday (here) with my petite famille. And Sunday last week was just as special. After a delicious healthy breakfast and a hot cup of tea, we got dressed for the day and popped our shoes on for a little family walk. 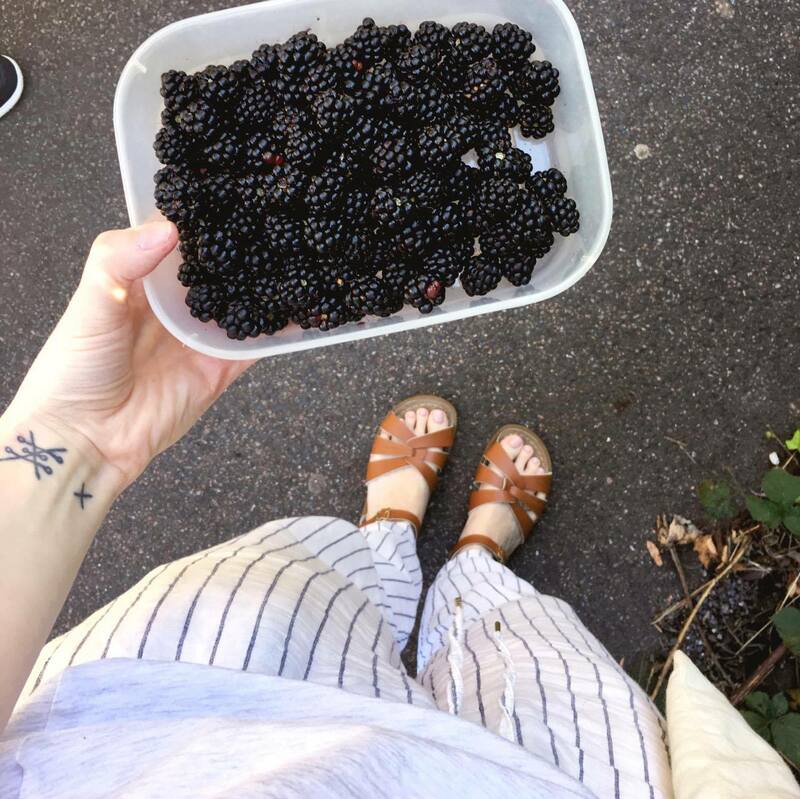 We wandered down the road and further down the hill to forage some blackberries. Olive was over the moon excited to go blackberry picking. Not only because they are her most favourite fruit but because she LOVES to get involved and help. 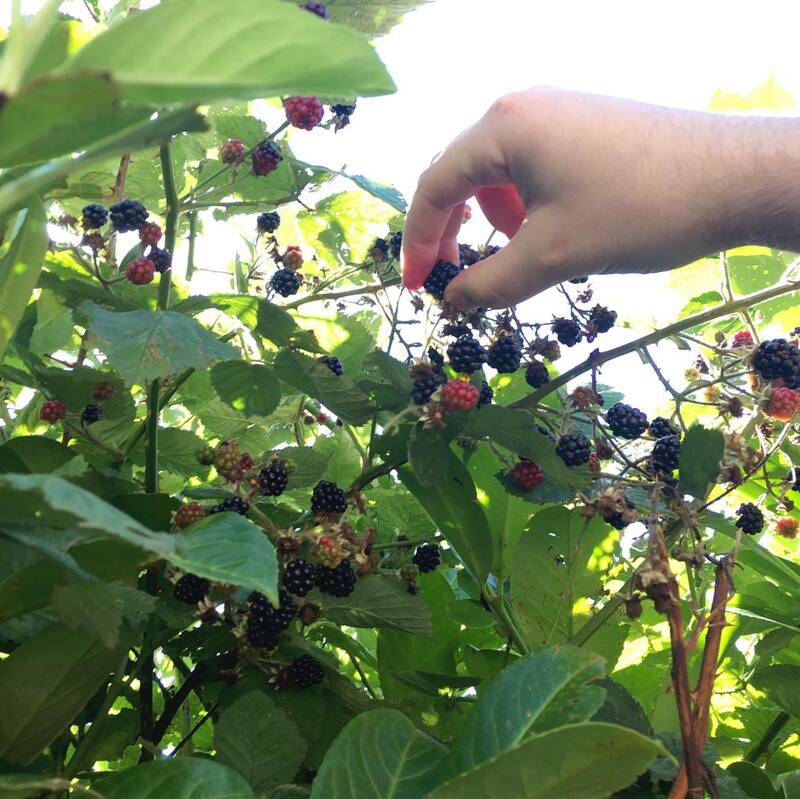 She did her best blackberry picking, only selecting the 'big ohn' (big ones) and the 'ooh joosy ohns' (juicy ones). She kept pointing at the red ones and saying 'stawburries', then shaking her head and picking the black ones. She tried to eat them straight off the stalks on a couple of occasions, but I couldn't face it, not with all the spiders and crawlies hanging out nearby. I enjoy Olive's enthusiasm so much, she loves helping and being an independent little lady. She is really growing into her own and I am such a proud Mama. 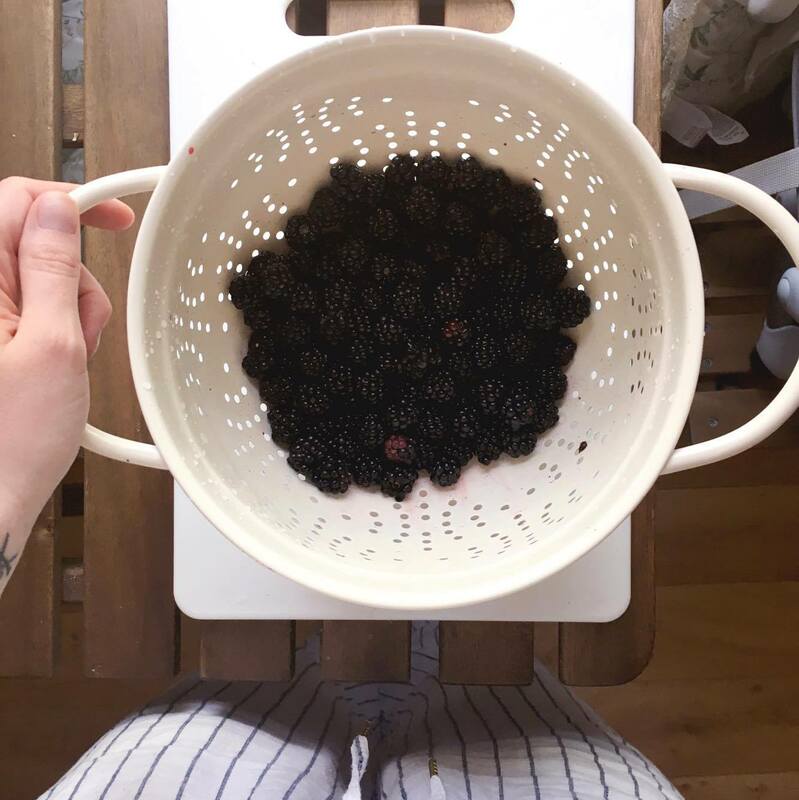 She got excited when we told her that we're going home to make a crumble for pudding using the blackberries she picked. That is exactly what Sundays are for. Baking! 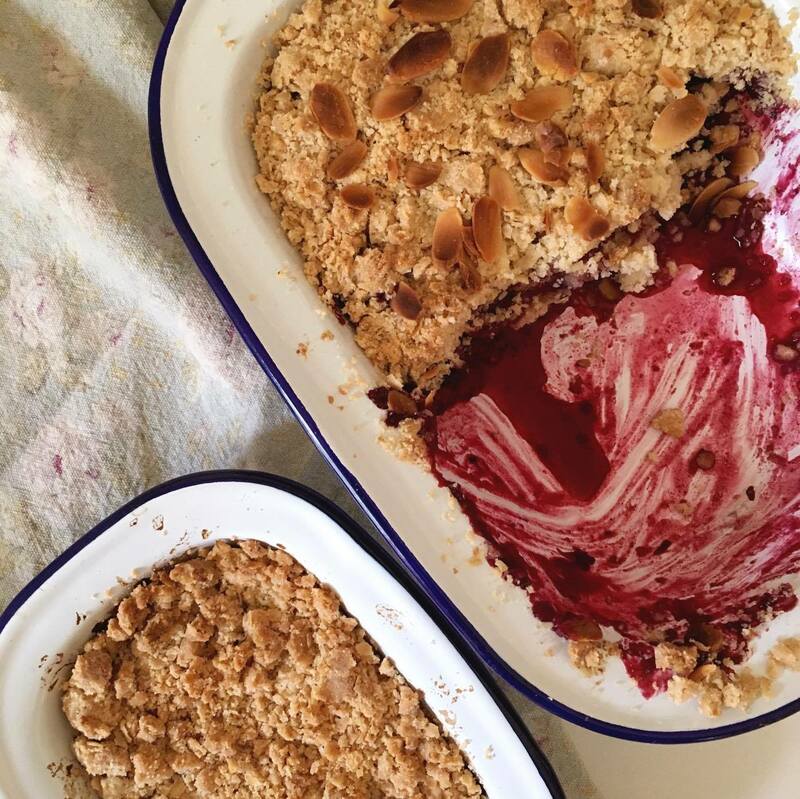 And with the Summer weather being so temperamental lately, fresh-out-of-the-oven blackberry and pear crumble with hot custard is THE only way to warm our insides and get us excited for Autumn (Yay!). 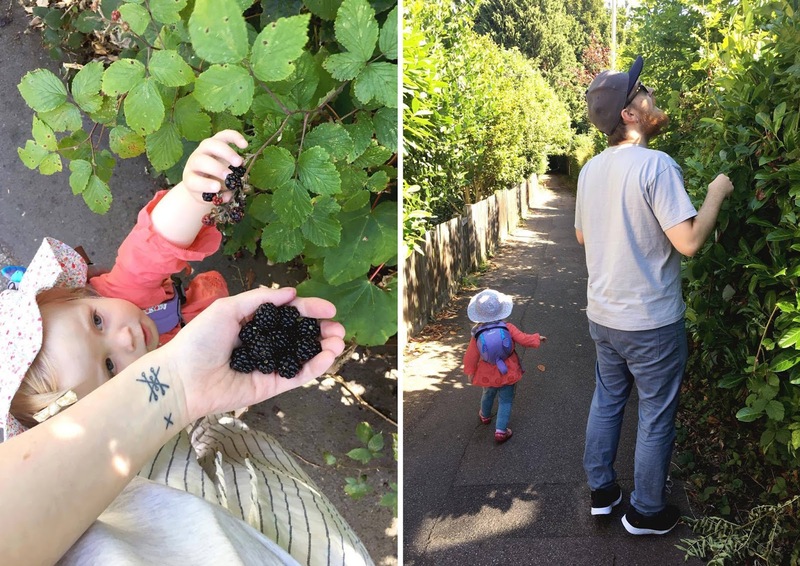 Little family adventures, the small ones, are my absolute favourite kind. All these special memories that I am so very lucky to have and to record it all too, well my heart is full at such wonder. I had always dreamt of family life, long before Sebastian and I were together. 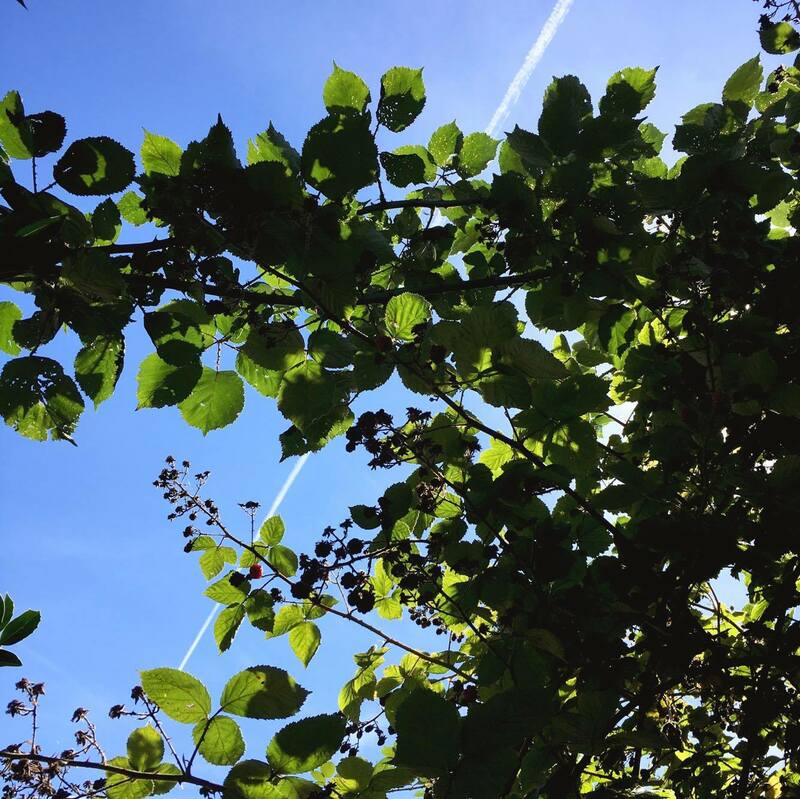 I'd dream of what special adventures we would go on and what our house would look like, and what flowers we would grow in our cottage garden, and how sweet the village school was and how the local fetes would be so perfect and traditional. We may not have even half of those things (yet) but I am confident we are on the right path in getting them. And wow what a magical journey. I am blessed to have such a perfect little family, my team. I have grown and helped raise a wonderful little human who is just so kind and sweet ... and a little spirited at times. 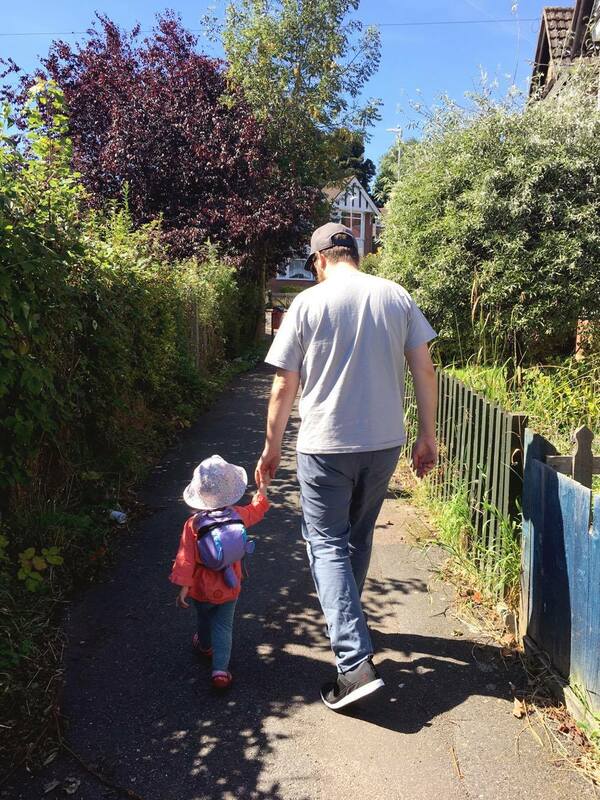 If we have to rent forever, scrape by each month to give her all the good food and nappies, walk or hop on a bus to pretty places because we have no car then so be it. I am one lucky lady! Now I'm signing off to go get some more crumble and a hot cup of tea (I made ANOTHER one on Friday and I just cannot get enough!). Happy Sunday to you all. Tell me your plans! ?